Originally written in 2009, this post is an update to include the more recent kindles! 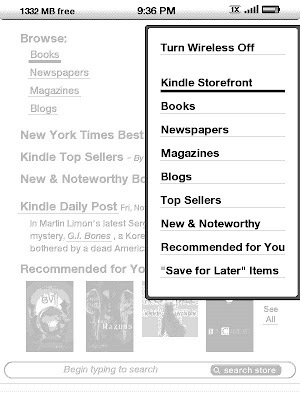 Kindle Touch: Hold the home button for 3 seconds or longer, then tap anywhere on the Kindle Touch’s screen, then release the home button. Fire HD has a copy that is visible. To find your screen shot go to home page & swipe over to the photo tab. Tap & under device tab there is a folder labeled screen shot. For other kindles, you will need to get out your USB cord. Connect your Kindle to your computer via USB. On your pc, click Start then My Computer. A new drive will appear called Kindle. Click it open & click to the documents folder. USES: Sometimes people like to capture favorite book passages, maps, or recipes. I use it for tutorials, of course!